Slab leaks, sewer lines, main lines, for both commercial / residential. We are Las Vegas certified plumbers ready for dispatch in Las Vegas & Henderson for same day service! Are you looking for slab or foundation leak repair services in the Las Vegas Valley area? 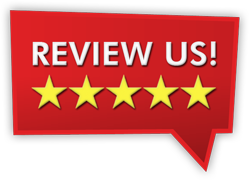 Contact The Professionals @ Sin City Plumbing & Maintenance today at (702) 431-6502 for immediate service. A leak in a concrete slab could result in serious damage to your home or commercial property. If not detected and repaired quickly, a slab leak could cause your concrete foundation to shift or crack, necessitating expensive repairs. 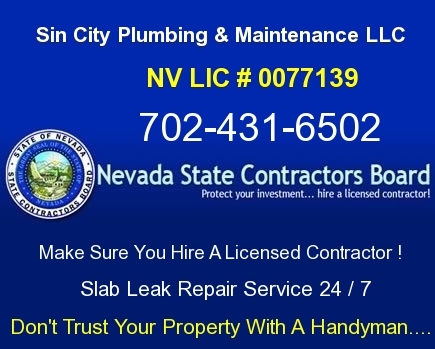 At Sin City Plumbing & Maintenance, we specialize in the detection and repair of slab leaks for home and business owners in Las Vegas. We are a family owned and managed business. Our company is open 24 Hours / 7 Days to Las Vegas Valley residence who need urgent slab repair. Our team of licensed, professional technicians and staff are dedicated to the success and growth of the company hence they strive to provide all our clients with high quality service, and back it up with a warranty. If your water bill is growing higher by the day or you notice that the water is running abnormally, it means that they may be a hidden leak present in your house or your business. This would most probably be caused by a leak right under the floor. The slab leaks can be caused by rusted pipes because of the high water ph levels. In most cases, old pipes get dilapidated and seize to work after several years. Sewer leaks are located with cameras that can be pushed down sewer lines, or by isolating and flooding individual sections of pipe. Water line leaks are usually located with listening devices of various sorts. Once the leak has been identified, the next step the experts at Sin City Plumbing would do it to determine if slab repair can be done. Our licensed plumbing specialists use some of the best equipment to perform slab repair. Slab leak repairs used to require busting up the slab under the house or the buildings. This is a labor intensive job that would require several days to complete. Today, we can shoot a liner right under the slab and usually have it completed the same day. Call us for an ESTIMATE for all the Las Vegas Valley. If you do not want your slab under your home dug up then contact us today for your ESTIMATE we are confident we can reline your slab and repair your leaks. We are your Las Vegas slab Leak repairs experts!